Summer is here and there are so many ways to stay active outdoors. There is something for everyone, and nature is a beautiful setting to move your body and feel the sunshine. The Army Run takes place on September 17th and includes distances of 5k, 10k, and a half marathon. 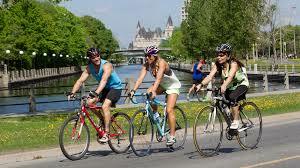 Every Sunday morning between Victoria Day and Labour Day, over 50 kilometres of roads in Ottawa and Gatineau Park are closed to vehicles and open for cyclists, in-line skaters, runners and pedestrians. The NCC Sunday Bikedays website has a full list of street closures. On August 15th, Camp Fortune Sunset Series is hosting its final cross-country bike race of the season. The next even is on August 15th. MEC’s Ottawa Summer Century Ride takes place August 20th and includes a 50k, 100k, and 160k options through Lanark county. Also on August 19th is the Tour to Bonnecherre in Eganville. This event includes an 18k family ride, 60k, 100k, and 150k options, and raises money for mental health. The Upper Ottawa River Race and Paddle Festival takes place from August 11-13th and includes kayak and SUP clinics, a kayak fishing derby, and multiple paddles and races on the Ottawa River. On August 19th is the Insane Inflatable 5K that includes obstacles for all ages. 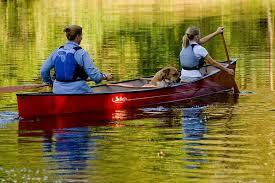 So get out there and explore what Ottawa has to offer with it’s fun events that promote health and fitness. Better yet, invite friends and family to share in the experience.